This request for Expressions of Interest follows the general procurement notice for this project titled “P123513-NG-III Nat’l Urban Water Sector Reform” that appeared in DG market publication of April 17, 2015. The primary objective of the assignment is to employ bathymetric means to obtain accurate elevation area – storage characteristics of the reservoirs. This assignment will produce as a deliverable, a bathymetric survey report comprising raw data, contour maps, longitudinal profiles, storage curves, sediment deposit estimates, etc. The estimated duration for the assignment is 6 months. 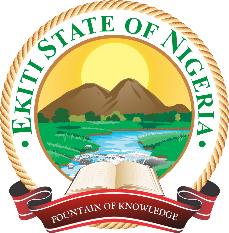 The Ekiti State Water Corporation now invites eligible consulting firms to indicate their interest in providing the above services. Interested consultants should provide information demonstrating that they have the required qualifications and relevant experience to perform the services. The short-listing criteria are (i.) evidence showing the fields of speciality of the firm (consultant’s profile/brochures) (ii.) evidence showing that the firm is a legal entity (certificate of registration), (iii.) evidence of registration with relevant authorities and professional bodies. (iv.) Evidence showing the technical and managerial capabilities of the firm in the field of assignment, (v.) Description of similar assignments, (vi.) availability of appropriate skills among staff, and availability of essential technology etc. For each project performed the consultant shall provide the name and contact address of the client (office & e-mail address, and telephone number), date(s) of execution, name(s) of lead and associate firms, contract amount and financing sources. The attention of interested Consultants is drawn to paragraph 1.9 of the World Bank’s Guidelines: Selection and Employment of Consultants [under IBRD Loans and IDA Credits &Grants] by World Bank Borrowers January 2011, setting forth the World Bank’s policy on conflict of Interest. In addition, please refer to the following specific information on conflict of interest related to this assignment: Bank policy requires that consultants provide professional, objective, and impartial advice and at all times hold the client’s interests paramount, without any consideration for future work, and that in providing advice they avoid conflicts with other assignments and their own corporate interests. Consultants may associate with other firms in the form of a joint venture or a sub-consultancy to enhance their qualifications. Where firms are associating, the submission must include verifiable evidence of association from all the parties. A consultant will be selected in accordance with the World Bank Guidelines; Selection and Employment of Consultants by the World Bank Borrowers, January 2011. Interested consultants may obtain further information at the address below from 9:00am to 4:00pm, Monday to Friday.